← My Generation– where do I fit? Concerning Rabbits. Some thoughts on what I’m learning from my family of bunnies. 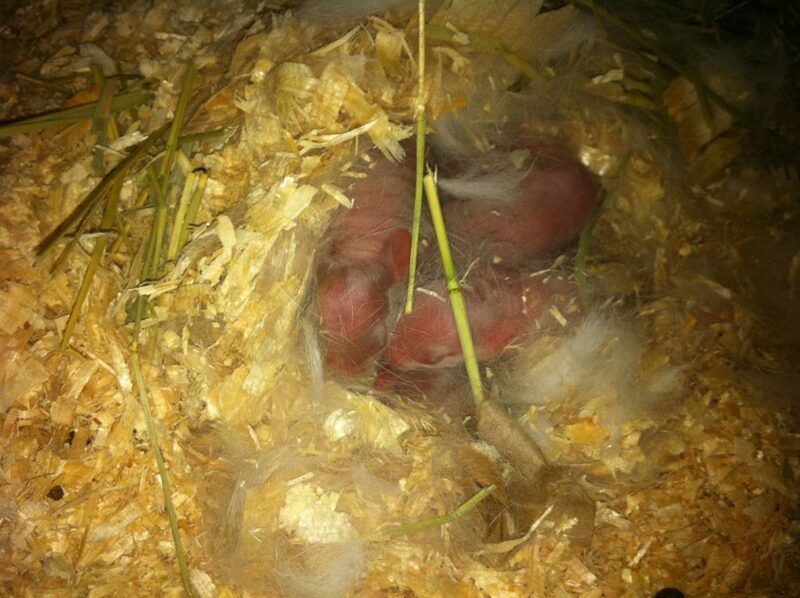 Two months ago, my sister B gave me a surprise gift of a live rabbit. Though BrightEyes was a surprise gift that I wasn’t fully prepared for, B knew that the gift would be fitting. For I have imagined and wondered about and loved rabbits like a personal totem (if there is such a thing) for most of my life. It probably began when I was two or maybe three years old, when my dad gave me a toy rabbit; forty years later I still have him. As a child I read and watched Watership Down over and over again, and I made up my own stories about rabbits and their adventures. 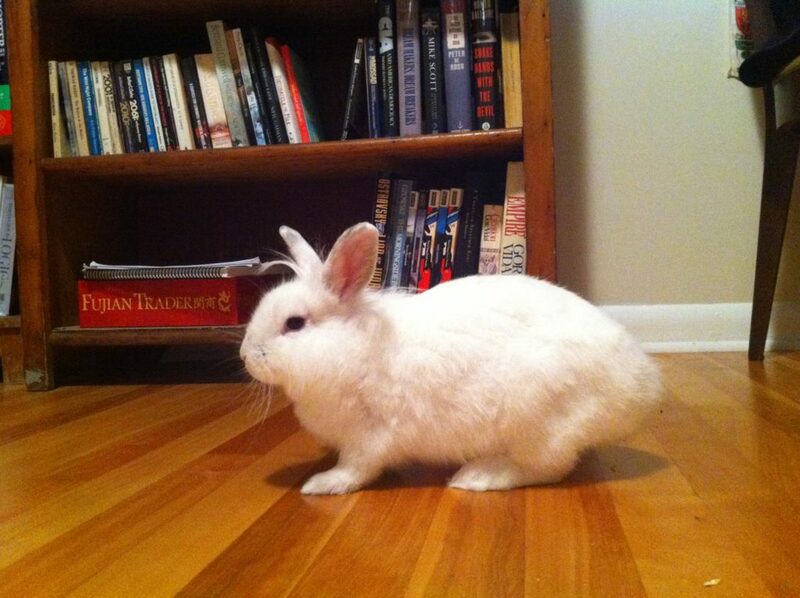 In my private mythology, rabbits are the listeners and the knowers of the animal kingdom. They’re always alert to danger. They build their homes and families close to the earth, in the hidden places where other creatures think there’s nothing of interest. They’re curious, and their curiousity sometimes lands them in danger, but they know how to escape. They have sharp claws and teeth and they can fight when they have to. But they prefer to trick their enemies and turn their enemies’ weapons against them. Then they hide, and wait, and listen, and know. Of course, imagining rabbits is nothing like owning and caring for a live one. When I was 10 or maybe 12 years old I had a pet rabbit, given to me by a family who I knew from my primary school. I named him Patrick because I got him on St Patrick’s Day. But this guy was quite wild: he used to bite me every time I cleaned out his cage or fed him. He never let me play with him. We built a run-space for him in the garage, when the winter came. I don’t really know what happened to him: and I think it’s likely that he escaped. Then in September, some of my family came to my house to help me with some renovation work, and B stepped out of her car holding a young white doe, and carefully handed it to me. I think she was expecting that I would be full of bliss to have this new companion. Actually my first thought, after saying “thank you”, was “But I was going to get a dog!” But BrightEyes seemed comfortable with me right away. She licked my arms and face. She sat with me on the couch in the evenings while I was watching telly. I put her cage in the library, so that she could use the library as a run-space and I could close the door there so she wouldn’t escape to the rest of the house. 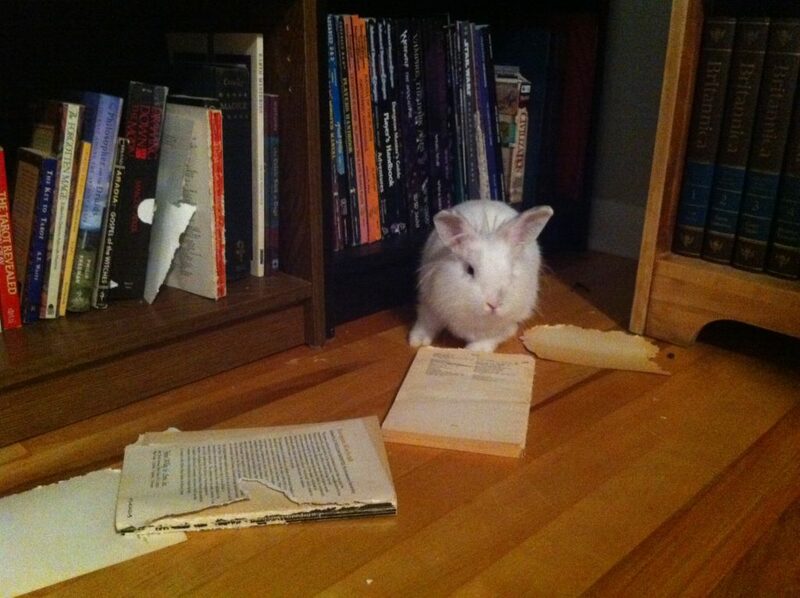 Then she ate some of my books, and chewed on the door-frames, and peed everywhere. I suppose I should have expected that. Curiously, she went straight for the Margaret Murray books about mediaeval witchcraft. And ate them. After a few days, the damage (and the smell of the urine) was getting too much for me. As was a bit of guilt at keeping her in her cage for 20 hours of the day. I built another run-space in the basement, enclosed by some old doors, and on a tile floor which she can pee on without damaging. She seemed a bit happier, but a bit lonelier. Then, on the first Monday of October, I was cleaning out the litter in her cage, and saw a lump that was moving. There was a nest of little babies. They were each about the size of my thumb, and without hair, and their eyes were still closed. BrightEyes was a mama– and now, so to speak, I was a dad. Nobody, including my sister, knew that BrightEyes was pregnant. But my little family makes me sad, too. They don’t return affection the way cats and dogs do. They seem to live in a constant low-grade state of fear, all the time. They scatter to sheltered corners of the run-space if I make any sudden moves, and they cluster together in a little pile, perhaps feeling safer among their own kind than with me. They scatter off again if they think I’m about to pick them up. If I do catch one, their eyes bulge a little bit, and their limbs remain tense, and their ears stay flat down on their heads. After a few minutes they relax, and seem more comfortable with my petting them and even kissing them on the nose. But when I set them down on my knee, they hop off almost right away. The same seems to go for BrightEyes. Two days ago I found her sitting on my chair in the run space. When I moved to pet her, she jumped away and darted back to the litterbox and hid under the castle. Yesterday, BrightEyes was on my chair again. She let me pet her, and she even licked my nose in return. But I can’t always tell whether she likes it. I try not to make her feel trapped when I hold her, and I never reach into the litterbox when she’s in there, so that she won’t feel as if there’s nowhere safe. Still, these nine housemates are giving me quite the emotional ride. I will be both sad, and at the same time a little relieved, when they’re gone. Yes, I said “when they’re gone”. Because I can’t keep them. The babies will be fertile around four months after their birth, which means that if I keep them there will eventually be thirty of them, and more on the way. So I’m also asking you if you would like to take one as a pet of your own. Two associates of mine have already agreed to take the little brown ones; the other six still need new homes. They’ll be fully weaned from their mama in early December, so that’s when I can give them away. I might not be able to keep the mama either, because its difficult for me to find someone who can come and look after her on the occasions when I need to be out of town for a few days at a time. I will have to give them to the local SPCA if I cannot find other homes for them. If you can’t take one for yourself, you can still help by buying one of my books: because I will donate my November royalties for my self-published titles to an animal shelter. 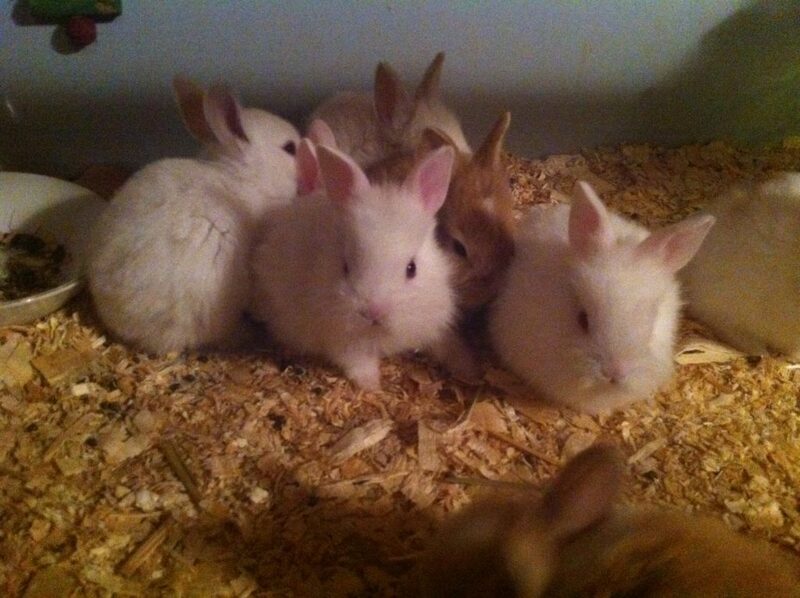 You can also share this blog post, or the above video, with anyone you think might be able to take one of my bunnies as a pet of their own. And if you’re local and don’t want to keep one but you might like to try holding one in your hand, come and visit. We rabbit people need to crowd close to each other, too.